Order number of 2 jars. 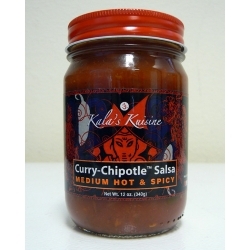 Curry Chipotle Salsa brings new meaning to the word Spicy! 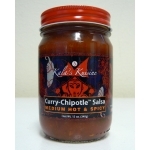 It combines Nepalese curry spices with the smoky flavors of chipotle seasoning to create a flavor-filled hot sauce. 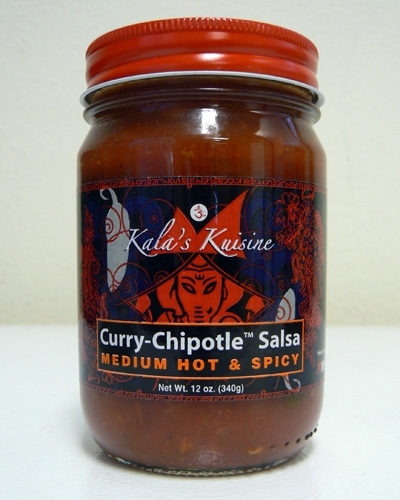 Ingredients: Crushed tomatoes, tomato juice, jalapenos, habaneros, serranos, carrots, onions, bell peppers, white vinegar, lime/lemon juice, crushed red peppers, chipotle peppers, cilantro, olive oil, sea salt, herbs & curry spices.